Thirlestane Castle Caravan Park is a 4 star park, beautifully situated in the Scottish Borders, within the Estate of Thirlestane Castle and by the winding river Leader. Where else can you wake up with a Castle as your Neighbour? 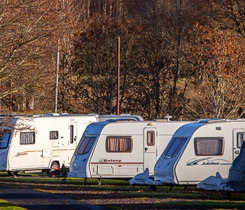 If you love walking, cycling, fishing, riding, historic houses, shopping in Edinburgh or just quality family time then Thirlestane Castle Caravan park is the perfect place for you. 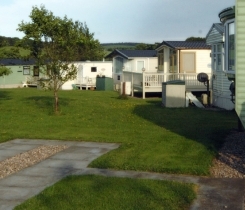 The Park caters for Holiday Home owners, Tourers and Campers and provides visitors with a spectacular base from which to explore the many attractions of the Scottish Borders. We are within walking distance of our local town Lauder, where you will find pubs, restaurants and shops. Thirlestane Castle Caravan park is currently undergoing an exciting development. 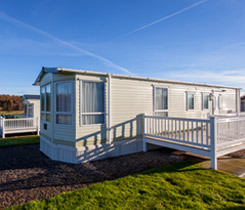 Our Holiday Home park is expanding and offers your the opportunity to purchase your perfect Holiday Home on an historical site with beautiful charm. If you are looking for a new site for your Holiday Home in the beautiful surroundings of Lauderdale we would welcome the opportunity to show you the new development as well as the Castle and Grounds. See here for more information. We are experienced in advising people find and purchase their perfect Holiday Home. Relax, unwind and enjoy Thirlestane Castle Caravan Park - a great base for exploring the Scottish Borders! 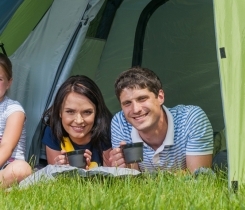 We offer secure and safe storage facilities for your motorhome or tourer all year around.